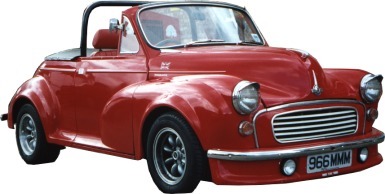 Your Morris Minor modification could not be in better hands than those at the Morris Minor Clinic. Based in Reading, Berkshire, all vehicle types and ages are modified by Mick Peeling and Company. If you've ever been to a Morris Minor show, you've already seen some of Mick's restoration and modification work. Don't just take our word for it, look through our site and check out our online references and portfolio.